Status: Contest finished on 30-04-2010. This is another chance to get released your work, a remix contest by 4Beat Records. The track to be remixed is a Progressive House one called “Bubbles” from PT Kozel. Enter now! Hi there. Here is the chance for everyone who creates music. Everyone can enter this remix contest! “Bubbles” from PT Kozel. It’s up to you what style you use for your remix. It does not matter if Techno, Trance, House, Drum&Bass or Dubstep. Show the whole world your skills. The best from you will be released on new EP from PT Kozel. 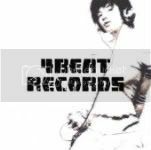 Upload your remixes to www.yousendit.com and send the links for download to andy4beatrecords@gmail.com with all info. The Dead line is 30 April 2010. Good Luck!